Click the link below to view new images for one of Scotland’s best loved landmarks. We want to give people the public the chance to walk on the Forth Bridge for the first time in its long and distinguished history. To do that, we will create a new discreet walkway to take small groups to the top of the bridge, 110metres above the Forth. Prepare for the climb of your life. 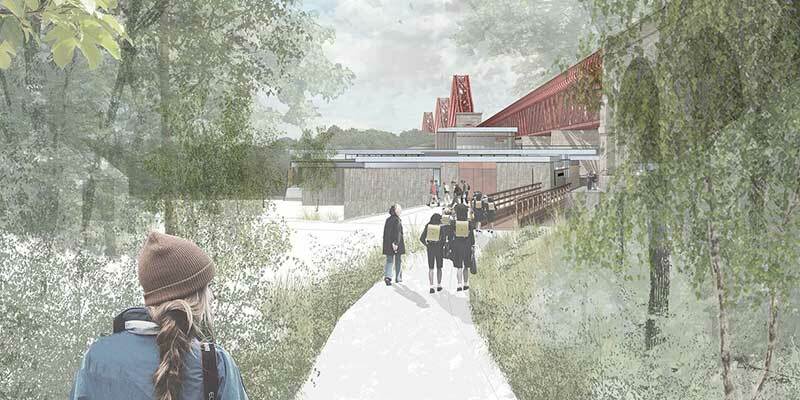 Following a successful restoration of the Forth Bridge, in 2013, Network Rail carried out a feasibility study to examine the business case bringing visitors to the bridge. In 2017, our focus is on the delivery of a south side, walk, taking guided walks onto the bridge to enjoy the splendour and heritage of one of the world’s most famous structures. We anticipate beginning and public consultation into our proposals in summer 2017. More details to follow. WE BELIEVE WE CAN CREATE A UNIQUE AND BREATHTAKING EXPERIENCE FOR GROUPS SEEKING A THRILLING AND ENGAGING WAY TO ENJOY SCOTLAND’S HERITAGE. PROFITS WILL BE REINVESTED IN THE BRIDGE'S PRIMARY PURPOSE – TO KEEP TRAINS RUNNING ACROSS THE FORTH. THESE FUNDS WILL HELP TO KEEP THE BRIDGE IN SHAPE, PRESERVING IT FOR GENERATIONS TO COME. As well as speaking renewed interest in the history and heritage of the Queensferry area, we expect the experience to generate 38 full time equivalent jobs within the local economy. Local businesses will be boosted through increased footfall and the improvements of the trail route between Dalmeny Station and Hawes Pier will have wider community benefits. In consultation with local architects, we have been very careful to minimise the impact of existing views of the bridge. Buildings, viewing platforms and access infrastructure will all be designed to ensure the bridge remains as magnificent as it has been since it opened in 1890. We are working closely with local groups and heritage experts to ensure that we preserve the bridge’s unique character while encouraging further enjoyment of the structure. Click on any of the images to open the gallery window to explore. Network Rail is progressing plans to take visitors onto the bridge for the first time. Read our March 2014 Community Update for all the latest news and information on The Forth Bridge Experience project.